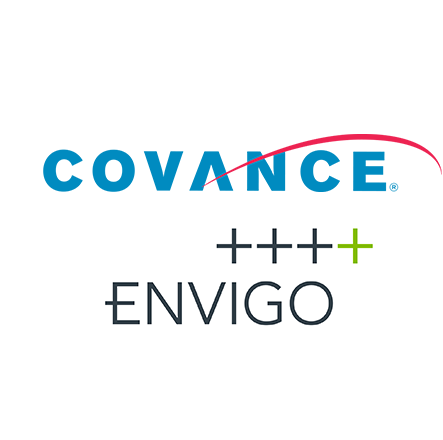 Covance, a global contract research organization, worked on all of the top 50 best-selling drugs available today through its full spectrum of nonclinical, clinical and commercialization services. With precision delivery of the largest volume of drug development data on the planet, we can help you identify new approaches and anticipate tomorrow’s challenges. Learn more about our history and services. What is your drug development goal? Experience drug development your way with solutions distinctly for the nimble biotech venture. Will your Clinical Evaluation Reports (CERs) be "at-risk"? With additional regulatory requirements for substantive literature and clinical trial data, some device manufacturers--including those with Class II or III devices on the market--have lost their CE Mark, incurring significant financial losses and increased regulatory requirements. Learn more in this informative webinar about what you need to do to be prepared for the changes. Find out how Covance central laboratory services team offers dedicated support, knowledgeable about the unique needs of progressive biotech ventures, to help navigate the new level of clinical trial testing complexity. Mark your agenda on April 28 to May 2 for the Covance poster presentation at the Association for Research in Vision and Ophthalmology (ARVO) in Vancouver, BC, and plan to meet members of our preclinical and clinical ocular teams. View the poster lineup. In just a few days, the United Kingdom might be considered a "3rd country" by medical device regulations if a no-deal Brexit happens. What are the implications for your devices in development or already on the market? Read the post. Check out our recently updated nonproprietary assay list featuring more than 330 compounds. Find out how Covance/LabCorp helped a prominent pharmaceutical company enable a faster, more effective launch of their immuno-oncology drug. Real World Evidence (RWE) has the potential to transform our industry, but there are a number of challenges when it comes to planning a study and execution. Learn about a powerful new tool that can help improve your RWE study design and register for our webinar today. Have you visited the NASH Education Center? We’re pleased to announce the launch of the NASH Education Center. Access the latest thoughts from experts through webinars, case studies, blogs, info sheets and scientific articles. Successful clinical trials begin and end with the RIGHT data. Uncover new possibilities for your clinical trials with Xcellerate®, a fully integrated informatics platform. ONE comprehensive platform. UNPARALLELED RESULTS. Bioanalysis Education Center: Covance leads the way in bioanalytical capabilities and solutions, igniting innovation with exceptional science and timely answers. Access the latest scientific posters, list of non-proprietary/generic assays, publications and info sheets. Test your knowledge - what's your patient centricity IQ? A range of individual approaches can be integrated to accelerate your progress of complex rare disease studies across the world. Learn how to address key development challenges. See for yourself, through the magic of virtual technology, why more than 90% of the clinical studies placed in our Greenfield, Indiana, (USA) facility serve nimble and progressive biopharma ventures in this interactive tour. Learn more. Receive personalized information. Sign up in our preference center! Help deliver on the promise of a healthier world.